Hello Folks! Please find below all Word Whizzle Turkey Answers, Cheats and Solutions. This is a brand new game developed by Apprope who are also famous for the other popular trivia games such as Wordcross and WordBubbles. 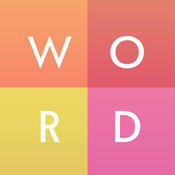 Without losing much time we are posting below all the answers, cheats and solutions for Word Whizzle Turkey Pack.